A man has been arrested and taken into custody after triggering an alarm at the Black Horse Pub in Exeter. The local man broke into the pub during the early hours of the morning before climbing to the roof of the four-storey building. Police, and ambulance, fire crews and a police negotiator all attended the scene for over an hour before the man came down via the ladder. The 33-year-old was arrested on suspicion of burglary and criminal damage. To hire a qualified roof climber in Exeter or Exmouth, contact the roof repair specialists at LMH Roofing. With the shock closure of the Clifton Hill Sports Centre in Exeter due to the poor condition of the roof, it draws attention to the importance of maintaining your own roof. It may sound obvious but the roof is often overlooked but it is the most important factor of your building protecting the whole structure. A roof is a pretty inaccessible place for most property owners, but signs of a leaking roof will become apparent as the water works its way down to the ceilings and walls of your home. Calling in a reputable roofing company to repair or sometimes replace your roof should be a matter for urgent attention. Working within a 30 mile radius of Exeter LMH Roofing are experienced in all areas of roof repair and replacement.roof repair and replacement. In an ever environmentally conscious world, green roofs are a naturally beautiful and effective helping hand to making your home greener. Here are some benefits a green roof could have on you. Firstly, they are naturally beautiful. Aesthetically they are designed to help a house blend in to an area of outstanding natural beauty as well as helping meet legal requirements of beautiful areas. Equally, within a city, green roofs add an eye-catching splash of green to an otherwise grey environment. Secondly, green roofs provide an undisturbed habitat for wildlife. With a wilder green roof, insects such as butterflies, bees and all manner of critters will create undisturbed homes for themselves. Thirdly, in a noise rich environment, green roofs can actually provide noise reduction, acting as a natural insulator. Research suggests 12cm of greenery can cut sound down by 40 decibels, nearly completely eliminating traffic noise. With Exmouth in Bloom making such a positive difference to the community, find out how you can play your part by contacting LMH Roofing. The latest liquid waterproofing system KEMPEROL® 2K-PUR by Kemperol has been used to refurbish the 2500 sq ft flat roof of the Gatwick North Terminal. As water was leaking into the retail units below an urgent solution was required. The product is the first solvent and odour free waterproofing solution which means it can be applied where it would be undesirable to use traditional products with strong fumes and smells. For all roof repairs in Exeter call LMH Roofing. The summer is an ideal time to assess the condition of your roof before the winter weather sets in. A simple inspection can identify any problems before they cause serious problems to the fabric of the roof. Arranging for a professional to survey your flat roof will quickly reveal any remedial work that may be necessary, a reputable company, such as L M H Roofing will provide a detailed report on the condition and plans can be put in place to restore your roof to its full weatherproof state. For all your roof repairs call the expert roofers in Exeter, LMH roofing. Householders should always be wary when someone turns up on your doorstep offering to repair your guttering or the slipped tile on your roof. A few common-sense precautions can make sure you don’t get taken advantage of. Do they want cash? A genuine firm will invoice you. A bona fide business will not knock on your door and ask or offer to do work for you, no matter how plausible their excuse. If you need work on your roof or a repair in Exeter to your guttering, ask your friends and family to recommend an established local company such as LMH Roofing, who are a well established and experienced company. Asbestos removal is a specialist operation and should only be undertaken by bona fide roofing and building companies that are suitably trained and aware of the hazards. In the UK asbestos was a popular choice for its insulation properties and strength and was used extensively by the construction industry up until 1999. A naturally occurring mineral it has been mined for thousands of years but became popular during the late 19th and 20th centuries. Asbestos does not pose a threat to health as long as it is contained, but as soon as it is damaged, cut or torn, tiny fibres are released into the air which can be breathed in potentially causing lung disease and chronic illness. Asbestos exposure is the biggest occupational risk faced by construction workers. Many UK buildings still have asbestos as part of their construction so it is very important that any alteration works undertaken on your property are carried out by competent, skilled tradesmen. Asbestos has been used extensively in the form of roof tiles or insulation and due to the hazards of working with asbestos it is a legal requirement that the procedures stipulated by law are followed to ensure the safe removal and disposal of any asbestos found. For more information on removal of roof materials visit our website. The history of British roofs is long and varied and shows a definite preference for slate roofs as opposed to clay and more recently concrete. This is due primarily to the abundance of slate that occurs naturally throughout the UK. Where it was not locally available Thatch was often used as it was not economic to transport slate more than a few miles due to its weight. The Romans introduced clay tiles to England but once they left the art of making them was lost until sometime in the 12th Century. The tiles from this time were simple rectangles of clay, around 10 1 / 2 ” x 6 1 / 2 ” which were easy to use and also a convenient size to handle. As always there were variations in size as unscrupulous manufacturers discovered they could save money by making them smaller, this led to an Act of Parliament in 1477 by Edward IV stipulating the minimum legal size for the tiles. This standard is still used today for plain tiles, although there are exceptions to the rule. York has many old building where the standard roof tile was 12” x 7”, fortunately bespoke tiles can be accommodated by some manufacturers. Following the Great Fire of London in 1666, thatched roofs were banned from London so clay tiles became more popular in the City. In the 16th Century overlapping tiles were first introduced from the Netherlands. The Dutch had discovered that by changing the shape of the tiles to an S-shape rather than a plain flat tile they could prevent water seeping through the joins in the tiles. Although it seems like a simple idea, the actual construction of the tile is more complicated than it would appear as they need to be overlapped sideways as well as vertically. These tiles gradually became known as ‘Pantiles’. A major advantage of using pantiles instead of standard overlapping tiles is economy. To cover 1 square metre with plain tiles will take 60 tiles, but to cover the same area in pantiles only 15 are required, which is a considerable financial saving. Gradually through the centuries entrepreneurs saw the need for manufacturing in bulk and set up factories to provide a service. Daniel Defoe the author became the owner of a factory based at Tilbury on the Thames to manufacture clay pantiles. These clay pantiles were often used on less important buildings as the technology produce the tiles to the necessary quality was still not available. Natural slate tiles remained popular throughout this time and is a roof tile which gradually became used more and more. Following the development of the railways in the mid 19th century the tiles became used outside of their local area due to the ease of transportation and they were used widely used for ordinary housing projects, where they had only previously been used on the more expensive kinds of property. Technology advances during the first half of the 20th century lead to modifications in the basic pantile design with the addition of raised weather bars the tiles became more efficient providing better protection and allowing architects to design roofs with a lower pitch. Concrete tiles had been introduced in the 1920’s but were largely overlooked until the huge rebuilding programme that took place after the 2nd world war. By the 1960s concrete tiles were being manufactured in larger sizes and were preferred by builders. This put pressure on the British Clay manufacturers who could no longer compete against their modern competitors. For a quality Roofing company in Sidmouth, call us today. Today clay tiles and natural slate tiles are becoming popular once more, competing favourably against foreign imports. For all your roof repairs in Exeter call LMH roofing on 01392 986 686. Some new products have recently been launched by Roofing Manufacturers Redland and Marley. Redland has introduced a new colour to its Rosemary Clay Craftsman Tile range. The new tile, Craftsman Victorian tiles have been made to resemble original Victorian tiles, with pitted surfaces, black patterning, irregular front edges and a varied hanging length. The aim is to imitate a weather tile which is still very durable. Marley Eternit has added some new slates to its Birkdale range, Flame Grey and Flame Brown. The slates are multi coloured to imitate natural slate and have a smooth surface. They also have an A+ environmental rating. If you have a leaking roof and require a roofing company in Sidmouth, please call LMH Roofing today. A recently released report by AMA Research has shown that the Flat Roofing Market in the UK has grown by 3.5% and covered an area of approximately 28,000,000 square metres in 2014 alone. Demand has been highest for new roofs in various commercial sectors, particularly schools, offices and warehouses. This is expected to see continued growth as further budget reductions in public sector spending make flat roofing a more affordable option. Bitumen has the largest market share but PVC single ply membranes and liquid roofing have proved popular due to choices available as to colour, the speed at which it can be installed and lower cost. The marketplace for maintenance and repair remains buoyant with a healthy market for flat roofing repairs to garages and industrial buildings. If you are looking for an experienced and reliable Roofing company in Exeter , please give us a call. Work is underway to install a new roof on the 2012 London Olympic Stadium. The new roof will be twice the size of the original at around 45,000 square metres. When finished will be the longest cantilevered roof of its type in the world and will cover every seat in the Stadium. 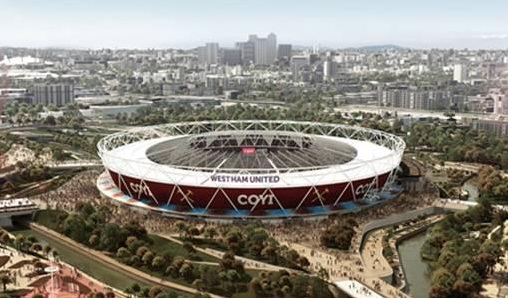 The venue will become the permanent home of West Ham United Football Club. The Stadium will also become the new national competition centre for athletics, with UK Athletics having use of the venue from the last Friday in June to the end of July every year under a 50 year agreement. Providing enough support for the new roof has required substantial strengthening work to the main roof truss, which was originally designed to be taken down after the Games. The extra work meant that Balfour Beatty’s contract value had to be increased by £35.9m to £189.9million. The extra costs were met by the London Legacy Development Corporation and are thought to have been also shared in part by Balfour Beatty themselves. The roof has also been designed to improve acoustics and the spectator experience for football matches. This new roof design will create a much more focused noise and atmosphere in the seating bowl because it is a solid roof. It will focus all of the noise between the tier and the roof and really attenuate the noise, particularly from the upper tier and force it forward towards the pitch and field of play. Work on the roof, and brand new floodlights that it will support, will be completed ahead of the five Rugby World Cup 2015 matches taking place in the Stadium in September. For more information on Roof repairs in Exeter visit our website. Eight kilometres of cable net ranging in width from 60 to 105 millimetres was lifted and connected over a four week period. The cable net weighs around 930 tonnes. The longest roof rafters are 38 metres long and it will take 27 weeks to install all the steel. The roof panelling to the rear of the roof is an insulated system using a profiled lower deck with an insulation layer and covering for weather protection. The roof panelling to the front of the roof is formed of transparent polycarbonate corrugated sheeting. It will take 26 weeks to install the roof panelling. Copyright © 2018 LMH Roofing. All rights reserved.